There’s one other reason to consider the 2010 Lexus ES 350 instead of the Avalon; with Toyota dealerships consistently rated near the bottom for customer satisfaction and Lexus dealerships almost always at the top, you might save some frustration in the long run going with the luxury marque. The 2010 Toyota Avalon offers a Lexus-caliber interior experience, at a Toyota price. The editors of TheCarConnection.com have driven the 2010 Toyota Avalon and bring you their own driving impressions and comprehensive take on the roomy sedan in this Bottom Line, along with selected highlights from other top-tier reviews in an adjacent Full Review. The Avalon is Toyota’s full-size sedan; although it offers a lot of available luxury and even some higher-tech features like laser cruise control, the 2010 Toyota Avalon places the priority on comfort and roominess. The Toyota Avalon is conservative looking on the outside, and to put it kindly, it’s not going to raise your pulse at first sight. The silhouette was updated a bit two years ago, with revamped bumpers, headlamps, and grille, along with new tinting for the tail lamps, but that didn’t make it any less conservative. Inside, the Avalon plays it safe but appears and feels more contemporary; however, the materials aren’t especially inviting, despite the recent addition of new wood and chrome trims. Keeping in mind that the 2010 Avalon clearly favors comfort above handling, this large car isn’t at all disappointing to drive. Provided the roads are relatively straight, the front-wheel-drive Avalon has the goods, with the 268-horsepower, 3.5-liter V-6 engine and six-speed automatic transmission providing strong yet smooth and quiet performance either from stoplights or for highway passing, with the transmission shifting almost undetectably. Handling surely isn’t a strong point, but the Avalon is nothing like the comfort-oriented barges of yore—the suspension soaks up nearly every kind of bump, yet the body stays in check if you pitch the Avalon into a sharper corner, showing plenty of poise. At 19 mpg city, 28 highway, the Avalon’s fuel economy is quite good for a vehicle with this much space on offer. Interior space, along with comfort, is a tremendous strength for the 2010 Toyota Avalon. It’s one of the roomiest sedans, with soft, highly adjustable front- and backseats that are contoured adequately for large adults. And with more width and legroom than most larger sedans, it can truly accommodate three adults in back. The trunk is not only huge but deep and easy to load into—capable of holding several large suitcases. With a full range of top safety features and excellent crash-test ratings, the 2010 Toyota Avalon is one of the best big-sedan choices for the safety conscious. Electronic stability control is standard, as are anti-lock brakes, front side airbags, side curtain bags, and a driver's knee bag. The Avalon gets five-star ratings from the federal government in frontal and side impact tests, plus top "good" results from the insurance-affiliated IIHS in frontal and side impact tests. The only blemish: It was rated "poor" in the IIHS rear impact test. Three trim levels of the 2010 Toyota Avalon are offered: XL, XLS, and Limited. While the XL keeps the price low, the Limited makes the Avalon feel like a true luxury car, with heated and ventilated front seats, wood grain trim, a Smart Key system, a power rear sunshade, aluminum scuff plates, and a high-end JBL sound system with an iPod interface and an integrated Bluetooth hands-free interface. Top options include a DVD-based navigation system and Dynamic Laser Cruise Control. The 2010 Toyota Avalon looks modern and just stylish enough on the inside, but its conservative exterior might be a little too plain. The Toyota Avalon is conservative looking on the outside, and to put it kindly, it’s not going to raise your pulse at first sight. The silhouette was updated a bit two years ago, with revamped bumpers, headlamps, and grille, along with new tinting for the tail lamps, but that didn’t make it any less conservative. TheCarConnection.com can't find any sources that gush about the exterior, though many note its conservative good looks, with only a few criticisms. "Too many unnecessary angles," complains Motor Trend, though the reviewer adds that "at least it's interesting for a change." "The new Avalon wears a more stylish suit of clothes than in the past," claims Road & Track. Car and Driver succinctly calls the 2010 Toyota Avalon "Toyota's Buick." Inside, the Avalon plays it safe but looks and feels more contemporary; however, the materials aren’t especially inviting, despite the recent addition of new wood and chrome trims. Overall, reviewers are quite positive about it. "Any Toyota Avalon feels upscale and inviting," contends Edmunds, citing an "attractive and ergonomic control layout, and high-quality materials." Road & Track points out nice touches inside, "including the Optitron gauges once exclusive to that brand." For everyday driving needs, the 2010 Toyota Avalon is smooth, strong, and satisfying—provided the roads don’t get too curvy. Keeping in mind that the 2010 Avalon clearly favors comfort above handling, this large car isn’t at all disappointing to drive. Provided the roads are relatively straight, the front-wheel-drive Avalon has the goods, with the 268-horsepower, 3.5-liter V-6 engine and six-speed automatic transmission providing strong yet smooth and quiet performance either from stoplights or for highway passing, with the transmission shifting almost undetectably. "The current Avalon is among the quickest big sedans in this price range, thanks to a very potent 3.5-liter V6," attests Edmunds. Motor Trend finds it carries the "Avalon to the 60 mark in a purposeful 6.2 seconds," and that's with the older five-speed automatic transmission, which has been replaced with a six-speed in more recent years. At 19 mpg city, 28 highway, the Avalon’s fuel economy is quite good for a vehicle with this much space on offer. Handling surely isn’t a strong point, but the Avalon is nothing like the comfort-oriented barges of yore—the suspension soaks up nearly every kind of bump, yet the body stays in check if you pitch the Avalon into a sharper corner, showing plenty of confidence. 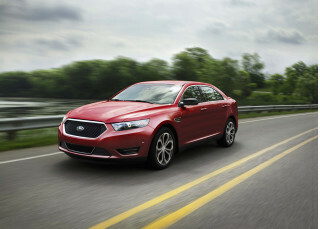 "Poised enough for a big family sedan," ConsumerGuide says, but they add, "Some testers want more steering feel and weight." They also note "body lean is pronounced as cornering speeds increase." Car and Driver is more positive; the reviewer comments that "the Avalon's independent suspension provides a tauter, sportier ride-and-handling compromise than its forebear" and notes its "velvety ride quality." Edmunds sums that the Toyota Avalon is "at its best on the open highway." Edmunds also likes the "tidy turning circle" that "makes the Avalon feel unexpectedly nimble on tight city streets." ConsumerGuide remarks that the "strong brakes are easy to modulate, but simulated panic stops induced marked nosedive." 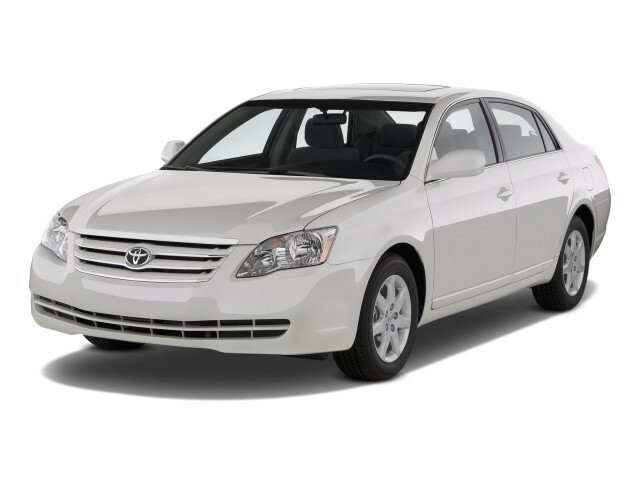 Very spacious seating front and back, along with a soft, well-isolated ride and impressive refinement all make the 2010 Toyota Avalon a good choice for those who weigh comfort above other priorities. Interior space, along with passenger comfort in general, is a tremendous strength for the 2010 Toyota Avalon. It’s one of the roomiest of any sedans, with soft, highly adjustable front- and backseats that are contoured adequately for large adults. Edmunds considers the front seats "wide and accommodating, particularly in the Limited, which offers both ventilated seats and a seat-cushion length adjuster." 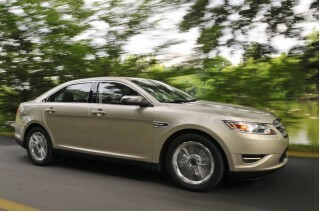 ConsumerGuide states that the front of the Avalon is "large-adult roomy with supportive seats." 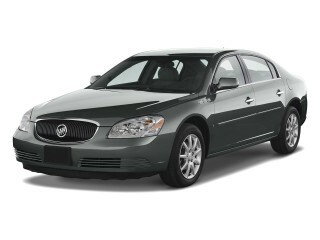 And with more width and legroom than most larger sedans, it can truly accommodate three adults in back. Motor Trend likens the rear seat room to "the sort of stretch space a pricey ticket buys you on Virgin Atlantic." Edmunds notes that the flat floor in the rear makes it "a legitimate proposition to seat three adults." Road & Track lauds the "flat floor and a 60/40-split rear seatback that can be reclined through 10 degrees in any of five positions." The trunk is not only huge but deep and easy to load into—capable of holding several large suitcases. "The trunk has space enough for most family excursions, but packing gets complicated by intrusion from the wheel housings and trunklid hinges," comments ConsumerGuide. One of the few complaints is that the 2010 Avalon lacks a backseat pass-through for long objects. Interior materials and switchgear are generally liked, though very little is said by most review sources. Road & Track likes the "flat-panel switches, which are nicely lit at night." The 2010 Toyota Avalon is a good performer in the safety category. Drivers and families will be pleased. 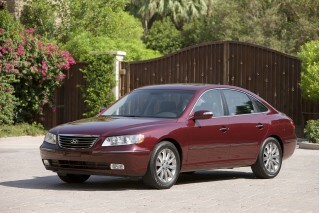 Editors at TheCarConnection.com are impressed with the safety features included and available on the 2009 Toyota Avalon. In crash tests, the 2009 Toyota Avalon performs splendidly. The Insurance Institute for Highway Safety (IIHS) awards the Avalon its top "good" rating for frontal offset and side impact crash testing. The Avalon also earns five stars across the board in the National Highway Traffic Safety Administration's (NHTSA) crash tests, except for a four-star rating for rollover resistance. Edmunds states that the Avalon's standard safety equipment "includes antilock disc brakes, front-seat side airbags, side curtain airbags for front and rear passengers and a driver-side knee airbag." Cars.com explains that the Avalon's "rear brake discs have been enlarged and are now gripped by aluminum calipers for better braking performance." For 2009, Electronic Stability Control is newly standard across the line. Motor Trend praises the Avalon's stability control system, calling it "a particularly cushy catcher's mitt, grabbing wayward chassis gyrations without a stinging rebuke back to the driver." Even if you’re trading in a luxury-brand vehicle for the 2010 Toyota Avalon, you’re not likely to be disappointed with the feature set. Three trim levels of the 2010 Toyota Avalon are offered: XL, XLS, and Limited. While the XL keeps the price low, the Limited is the one that makes the Avalon feel like a true luxury car, with heated and ventilated front seats, wood grain trim, a Smart Key system, a power rear sunshade, aluminum scuff plates, and a high-end JBL sound system with an iPod interface and an integrated Bluetooth hands-free interface. "The standard equipment list is lengthy even on the XL," says Road & Track, pointing to that model’s affordable entry price. The luxury-oriented XLS includes such items as leather seating areas, a wood-trimmed dash, 17-inch wheels, a power tilting-and-sliding sunroof, heated power side mirrors, and an anti-theft system. One of Kelley Blue Book's favorite Avalon features, standard across the model line, is "the five-position rear-seat recliners" that "adjust from a 25 to 35-degree seatback angle." You might not be forced into the Limited just because you want a popular tech feature, as Edmunds points out that "many of the upscale features on the XLS and Limited are also available as options on the lower trims.” Top options include a DVD-based navigation system and Dynamic Laser Cruise Control. love it, dont need anything else. simple yet comfortable. affordable yet luxurious. reliable. headaches and stress are gone, just change oil and do scheduled tune ups.